A British wildlife park has offered a new home to a depressed polar bear known as ‘Pizza’ who currently lives in a Chinese shopping mall. 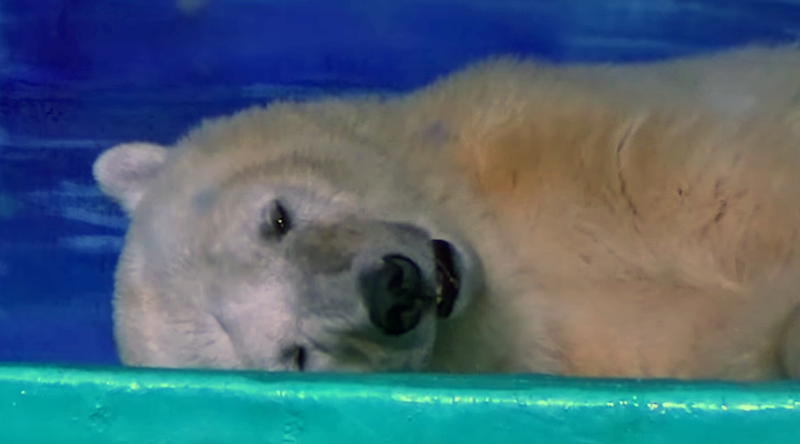 Yorkshire Wildlife Park in Doncaster, England, has approached the Grandview Centre in Guangzhou offering to house the animal, dubbed the “world’s saddest” polar bear. Pizza came to international attention after videos surfaced online showing a “teary-eyed” bear slumped on the floor in a dimly-lit glass enclosure. “We would be delighted to see Pizza end up at Yorkshire Wildlife Park,” said Animals Asia’s Welfare director, Dave Neale. Yorkshire Wildlife Park is home to four polar bears in a specially-created habitat. The facility aims to help wild animals and animals from zoos around the world.